With this song our aim was to demonstrate a change of rhythm while maintaining the same beat. “Jack and Jill” is usually sung as a polka but the second time around we sing it as a jig. Polkas and jigs are played regularly in Irish music. 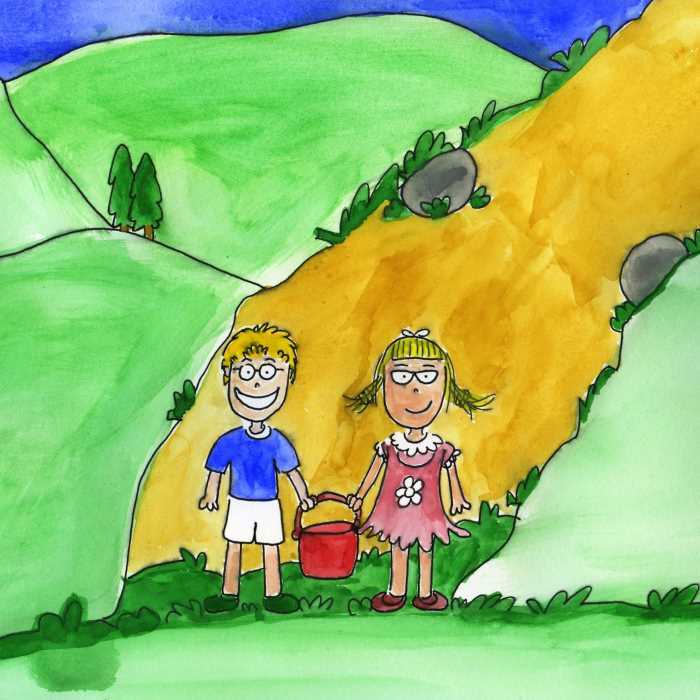 Click on the play arrow above to listen to our version of Jack and Jill set to Irish music for kids. Go to our Jack and Jill page where you can share our nursery rhyme with your friends and/or buy the MP3 download. Click on the arrow below to watch our youtube video clip of "Jack and Jill"
Social, Environmental and Scientific Education: Explore how crucial water is for all forms of life. How is water created? Use in conjunction with our version of "It's Raining It's Pouring." How do we get our water today? In history, communities were founded near quality water supplies. Provide examples. Contrast this to the desert. How have animals, plants and people adapted to survive in arid conditions?